Super Eagles Technical Adviser Gernot Rohr on Monday exchanged words with Chelsea player Victor Moses. 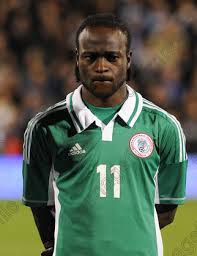 According to reports, Rohr and other coaches are unhappy with Moses' withdrawal from the national team squad days leading up to their first friendly against Senegal. Manager Rohr was visibly angry with Moses during the face-to-face discussion he had with the Chelsea wing-back on Monday. Victor Moses has stated that he only showed up at the Crowne Plaza Hotel, London because he didn’t want the coaches to think that he was faking the injury he suffered against Manchester United about a week ago. However, Moses has featured for Chelsea after the Manchester United game, playing over 70 minutes in his side's 2-1 victory over Stoke last weekend.